Stand out of the crowd with a Neon Sign. Neon Signs are a great way to stand out of the crowd. 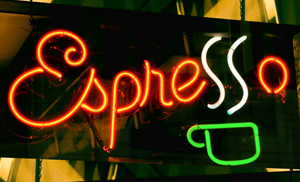 Especially if your business prospers after dark, a neon sign is a great choice for you. With a Neon sign by Chief Signs, you can increase your visibility and increase your sales! Leave it up to Chief Signs to design and manufacture a neon sign that will bring your business out of the dark. In Port Washington, NY and Long Island, neon signs make a statement.